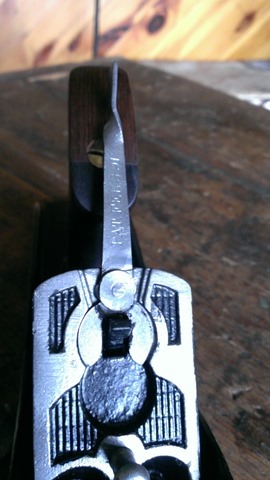 The type 2 & 3 No.414 was 13 1/2 in. long & about 2 5/8 in. wide & the later ones were 14 in. long & 2 3/4 wide. Here is the horseshoe Lateral. 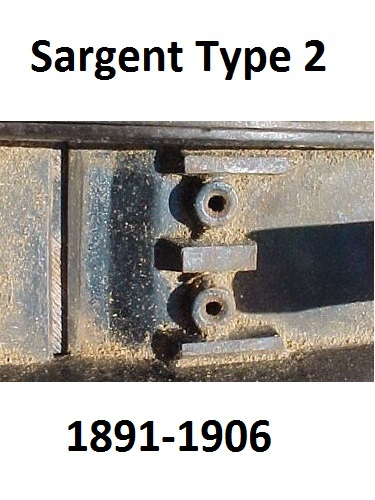 The first one Sargent used, although the patent dates are the same for the type 2 & 3. (Feb 3 91). 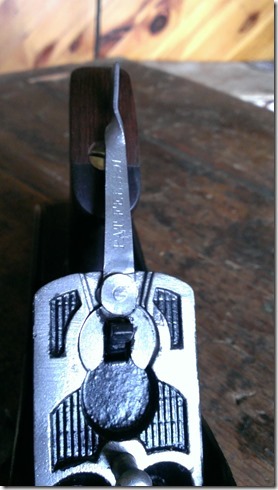 Type 2 will have the horseshoe Lateral. A form of confusion is the way Sargent did the type 2 and 3 laterals. 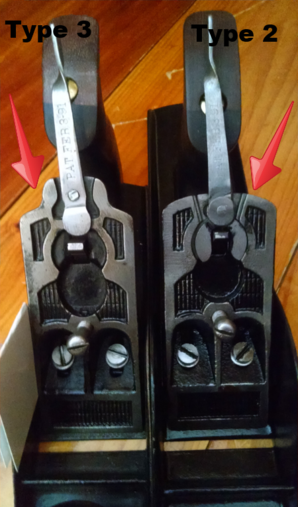 The patent date is the same for both the first and second type lateral. They were issued the same day Feb 3rd 1891. So they may have been used in tandem, which gets confusing. For example, even though the 5400 series went to 1909, the 5400 series may have all had either type 2 or type 2 laterals, even though the 400 series went from a type 2 (horseshoe lateral) to a type 3 (pivot lateral). Note both have the twisted end. Whether the 5400’s used both laterals is still a question in my mind.